Ephesus Lighting was acquired by Eaton, a Pittsburgh based power management company last week. 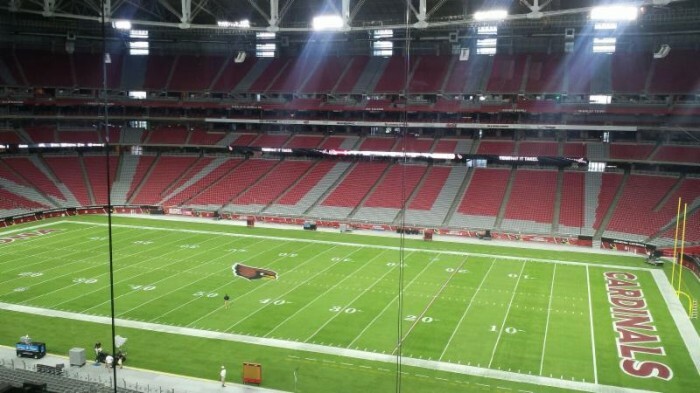 It was quite a year for Ephesus Lighting located in Syracuse, N.Y. beginning with their connected light-emitting diode solutions lighting up the inside of the University of Phoenix Stadium (UOP) for Super Bowl 49 early in 2015. 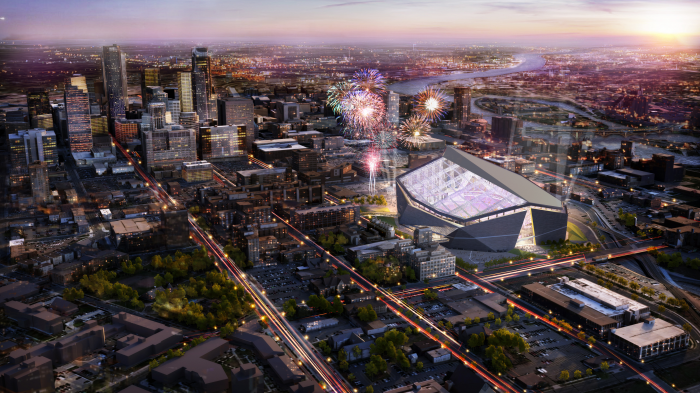 Next, the new Minnesota Vikings Stadium announced they will use their LED fixtures to illuminate the field in 2016. 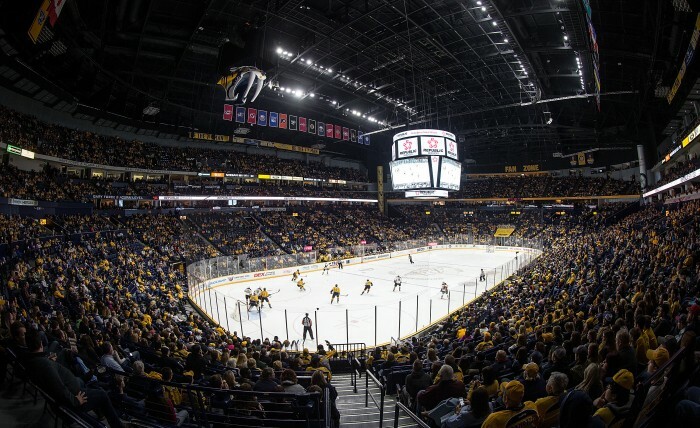 More significant installs occurred over the year in particular at Bridgestone Arena for the Nashville Predators season and the upcoming NHL All-Star game. It does not get any more significant for a green company helping the environment than being purchased by a industry leader like Eaton. Sporting venues to high lumen outdoor and industrial applications, are core clientele of Ephesus and are now part of the Eaton connected LED portfolio. Adding the diversity of high output controlled lighting solutions enables Eaton to instantly become a market leader of harnessed advanced electrical design technology to deliver lighting to the digital sport era. Ephesus was founded in 2010, employs 30 people and will continue with manufacturing in Syracuse as their connected LED sports lighting products become a featured line for Eaton. Athletes playing games and matches, in addition to fans watching in person, on HDTV or mobile devices, under Ephesus products have enjoyed increased lighting efficacy and an enhanced visual experience at sports and entertainment facilities across North America that install their LED lighting. The embedded fixture-level sensors and wireless platform controls tech save costs and energy consumption while providing brighter lights so players can perform at higher levels, fans can see the action better and sponsors receive optimized visual exposure. The company states their lighting solution can provide more than 75 percent energy savings. Another added benefit is the full light spectrum color tuning and intensity control adjustable by customers so they can adjust light output to meet specific needs. To give you an idea of the impact this deal has on Ephesus, consider that Eaton had $22.6 billion in sales over 2014 as a power management company. They provide energy-efficient solutions helping customers effectively manage electrical, hydraulic and mechanical power more efficiently, safely and sustainably. Eaton has around 99,000 employees and sells products to international customers in more than 175 countries. Eaton offers a variety of innovative and reliable indoor and outdoor lighting solutions, as well as controls products specifically designed to maximize performance, energy efficiency and cost savings. Eaton lighting solutions serve customers in the commercial, industrial, retail, institutional, residential, utility and other markets. Eaton’s electrical business is a global leader with expertise in power distribution and circuit protection; backup power protection; control and automation; lighting and security; structural solutions and wiring devices; solutions for harsh and hazardous environments; and engineering services. Sports Techie, a fundamental sustainability shift by sports venues in currently underway. The Atlanta Falcons, the Atlanta United FC expansion MLS franchise and the SEC Championship college football game will be hosted inside the new Mercedes-Benz Stadium setting a new standard for green venues. This follows Levi’s Stadium, host to the S.F. 49ers and Super Bowl 50, as the premier venue designed with sustainability goals. Perhaps these venues and others around North America and the world will join this exploding LED movement. Sustainability is a topic I have covered since launching in early 2010. Congratulations to Ephesus for pioneering the LED lighting industry and making a dent in our planetary struggle to improve the environment for the current and next generations of Sports Techie people, animals and robots. Look for continue breaking sports tech news about Eaton as they now take the torch from Ephesus and continue to light the world’s venues in pleasing, less expensive and environmentally conscious LED lighting.